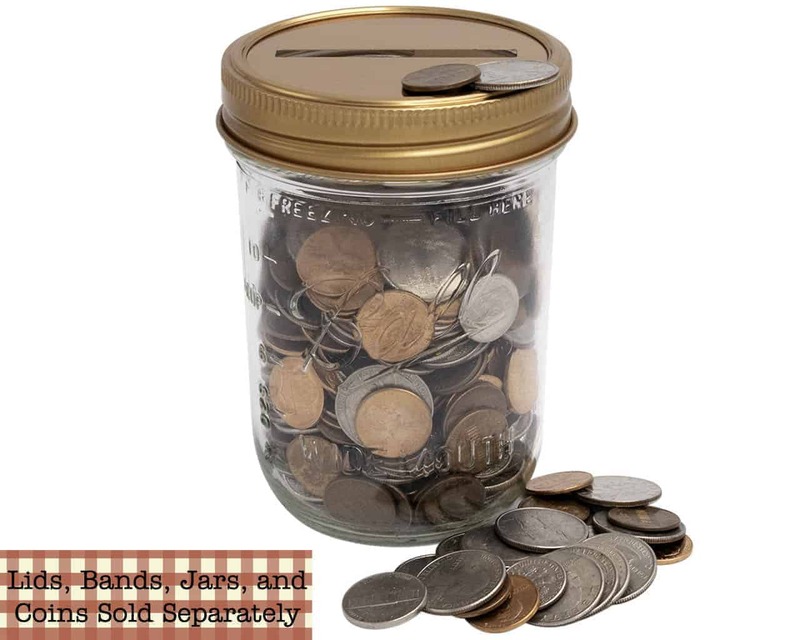 Add this coin bank lid insert to any size Mason jar and you have a piggy bank! Keep one in the laundry room or one on your nightstand to collect loose change! Use a half pint, pint, or quart depending how often you want to take it to the bank! Keep one in your closet to collect all those extra buttons that come with your clothes! Or use it to collect and store any other small objects. Make a bank for each of your kids!